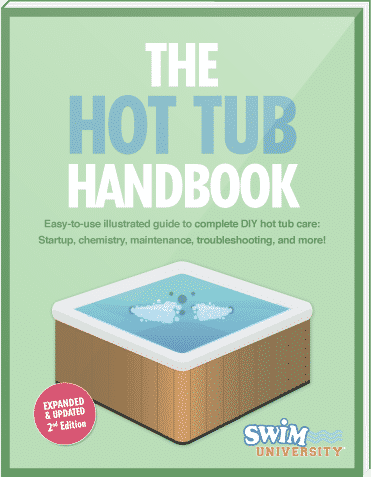 How Does a Hot Tub's Filtration System Work? Last Updated: November 15, 2016 | Subscribe to our weekly newsletter! If there is one thing you want in your hot tub, it is clean water. That’s where your hot tub’s filtration system comes into play. This system circulates the water through your hot tub and removes any of the contaminates in the water. That, combined with the chemicals or other sanitizing agents you use in your hot tub, cleans the water so you can enjoy a nice soak that not only feels great, but is also safe. But how does this system actually work? Let’s take a closer look at how a hot tub’s filtration system works so you can understand what your hot tub is busy doing day in and day out. Every hot tub uses a filter to remove dirt and other debris in the water. How they go about this task differs mainly based on the type of filter that is used. The suction type filter is the most common type of filter you will see used in hot tubs today. These systems are always mounted on the top for easy access. They are often much larger than the other type of filters and are much easier to maintain. However, you must perform regular maintenance on them in order for them to be effective. Pressure filters aren’t the most common, but are still in use today in some spas and are often found in older hot tubs. In this system, the filter cartridge is often smaller and housed in a sealed canister with the skimmer in a separate unit by itself. These systems can handle much more pressure and don’t require maintenance as often. However, the maintenance tends to be more difficult when you do have to work on them. Don’t look at it as a positive or a negative. The fact is they are both very different from each other but they basically do the same job, and they both do it well. All you must do is figure out which one you would prefer to work on. Do you want the filter that is easy to maintain but must be serviced more often or the filter that is more difficult to work on but doesn’t have to maintained as often? Really, in th end, it all comes down to you. A filtration cycle is the amount of water that passes through your hot tub’s filter. Every hot tub is different, and you may have some control over this. However, this is the true test of the quality of your hot tub. The more water you can pump through the filtration system the cleaner it will be. A circulation pump differs from the main pump and the jets of your hot tub. It is basically a secondary pump that runs continuously to pump smaller amounts of water through the filtration system. These run even when your main system is shut down. While you can’t use them alone, they are a great way to keep the water clean as they prevent standing water in your hot tub. While the above represents the main parts of the filtration system, you can’t forget the control system. This system is usually controlled by a panel on your hot tub. From this panel, you can access the many features of your hot tub as well as control the filtration system. Depending on the type of hot tub you have, your ability to control the filtration system will vary. In some cases, you can control the flow of water and set how much water is regularly filtered in your hot tub. In other cases, you will be able to select various presets all based on bather load in your hot tub. Learn this system well so you can properly control your hot tub, and be prepared to adjust the filtration system during heavier bather loads to ensure the water remains clean. It’s quite simple when you think about it. Your jets and your pump push the water through the hot tub filter to remove any particles in the water. The more water that can be pumped through the filtration system during a cycle the cleaner it will be. These cycles often run periodically through the day based on your bather load. Make sense? Your hot tub’s filtration system is your main defense against dirt and other debris that could foul the water of your hot tub. That’s why it is so important to keep it maintained. In the end, you don’t want to be bathing in dirty water, do you? While the system itself is rather simple, it is, in many ways the main arteries of your system. Without them, your hot tub simply isn’t safe to use. Now that you know and understand the basics about this system, you are in a better position to care for it properly so you never have to worry about dirty water ever again.